Charlotte Nikoi, who went missing while hiking on Table Mountain (file photo). 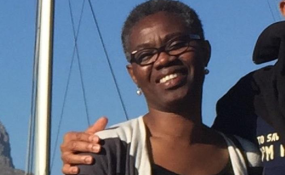 New York — "We learned with great sadness that the remains of our colleague Charlotte (Nana Yaa) Nikoi have been found. All of us at UNICEF are deeply saddened by this news and express our personal sympathies to her family. Nana Yaa was a committed colleague who devoted the past 18 years of her life to the work and values of the United Nations. Her warmth and steadfast support will be missed by all those who knew her. "Nana Yaa was reported missing on 21 March while on a family vacation in South Africa. We thank the South African authorities for their efforts and we are grateful to all those who assisted. We ask that her family's privacy be respected in these very difficult times."